Registration details: Register for the Event HERE. 3.5 hours of CLE offered. Lunch included. Sign up to claim your seat today! Registration not available at the door. 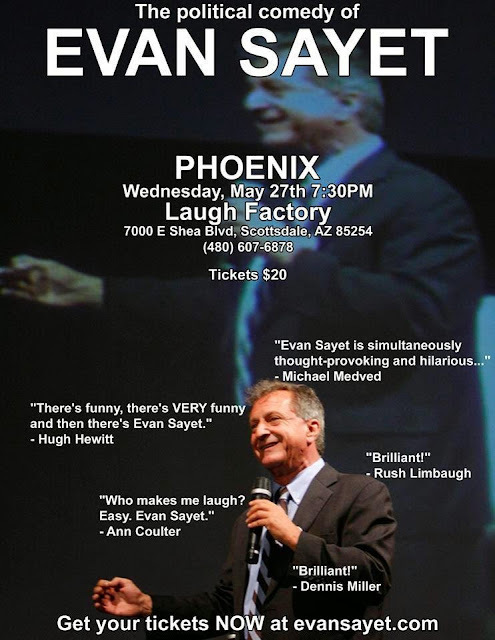 Conservative comedian Evan Sayet coming to Phoenix on May 27th! If you haven't seen Evan Sayet's comedy yet, you are missing out. Raised as a Jewish liberal in New York, he saw the light and is now a conservative political comedian, who performs comedy at some of the biggest events in the country. Tickets are only $20, click here to purchase. He'll be coming to Chicago, Boston and New York next in June. Rush Limbaugh, Dennis Miller, Larry Elder Dennis Prager all call him "brilliant." I've already bought my tickets, see you there! Watch a nine minute clip of his comedy routine below. "The premier political and issue driven talk show on weekend radio"
Depending on government to solve things, only makes people dependent on government. People look to Washington, D.C. for solutions and blame D.C. for the failure and inaction to rid the nation of problems that we have long endured. These conditions have grown and manifested themselves into epic proportions that threaten the mere existence of a nation that was formed by our founding fathers and, in time, became the greatest nation on earth. The politicians that guide government today, for good or bad, do so with the consent of the people. 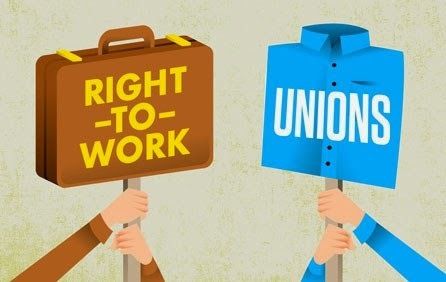 It is the people that go to the polls and vote for the individuals that sit in the legislative branch to create laws that are passed and dictate the path we follow. If we are unhappy with Washington, D.C., we must also be disappointed in ourselves. Continuing to send the same people back to D.C. and expecting change is as sane as continually planting radishes and expecting lettuce to grow. 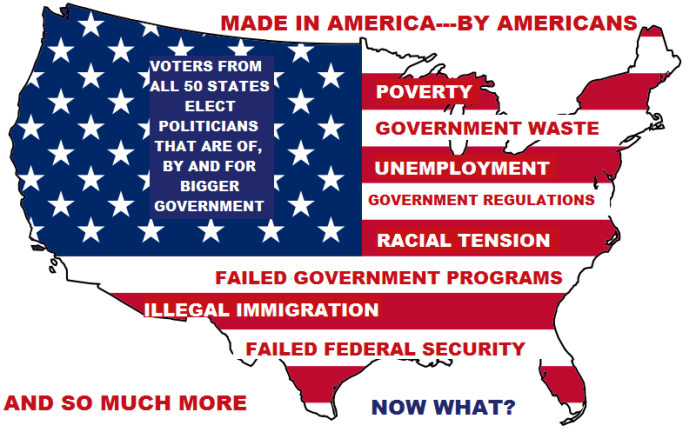 There comes a time when Americans need to step up and take a stand FOR AMERICA. When you consider the issues within our nation, when you take a cold, hard look at what is happening to our country (from the inside), when you are not afraid to see the truth---you must know that time has come--it is now. If you do not stand, if you are not willing to make yourself heard and aren't willing to back your words with action---then who do you suggest should take your place? If not you---who? "In this present crisis, government is not the solution to our problem; government is the problem. From time to time we've been tempted to believe that society has become too complex to be managed by self-rule, that government by an elite group is superior to government for, by, and of the people. Well, if no one among us is capable of governing himself, then who among us has the capacity to govern someone else? All of us together, in and out of government, must bear the burden." TODAY, HEAR OUR GUESTS, WHO, BY THEIR ACTIONS, ARE BEARING THEIR SHARE OF THE BURDEN. As always, you can count on us to deliver in depth findings (not sound bites) and to present things without bias, in truth and in plain English with STRAIGHT TALK. . Tune in to the program that truly is about the people and businesses on the Main Streets all across America. We want to know what's on your mind. "If it touches your heart, it touches ours". In the Phoenix area, tune in to KKNT, 960 AM on the radio dial. Or, in other areas of the nation--or the world--you can also listen to the live broadcast by going to our website and clicking on the "LISTEN LIVE" icon, located at the top of our home page. Or, download to your Ipod, Ipad, mp3, or Iphone by clicking on the "Record this show" icon. No matter where you are in the world, you can hear us live and you can call in during any broadcast or send us an Email. Tell us what's on YOUR mind. Hear us this Saturday and every Saturday and don't forget to visit our REDESIGNED website to read our latest blogs, essays or check out the latest photos and other items. AND DON'T FORGET--FOR YOUR CONVENIENCE---If you miss a program, any part of a program or just want to replay a broadcast, you'll find past programs on the archives pages of our website. For all offerings and more information, go to our website: Main Street Out Loud and stay up to date with us through these social medias. Just click "like" on our FB page or "Follow" on our Twitter site. Thank you for your support.